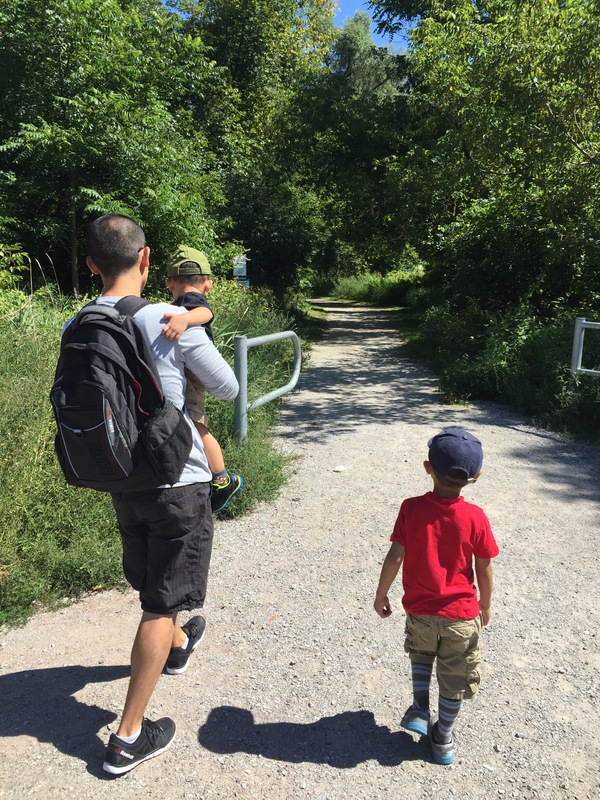 This past weekend, we took the boys out on a nice walking/stroller trail about an hour’s drive from our house. 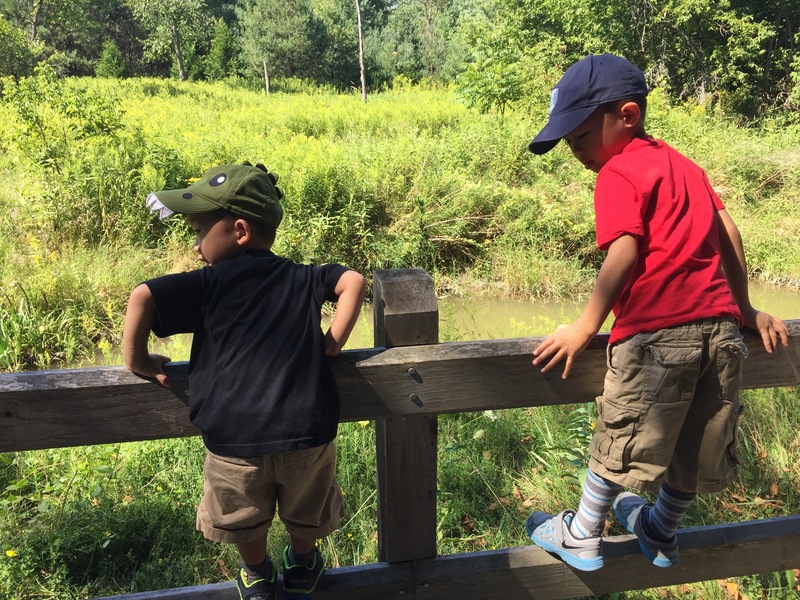 There’s something about being outside that really energizes me (the boys already have an overabundance of energy but it helped that they could scream and run to their hearts desire without bothering anyone) but hey, if I can work off some calories while I am at it, why not! I realize it doesn’t take much to entertain the boys while being outside. Picking up rocks, looking at the many flowers and trees and the long winding path itself, gave them more than enough to talk about and question. Oh, and did I mention they love climbing on things? Yes, they do! So, if you have some spare time this weekend, consider taking your family out for a relaxing and leisurely stroll. 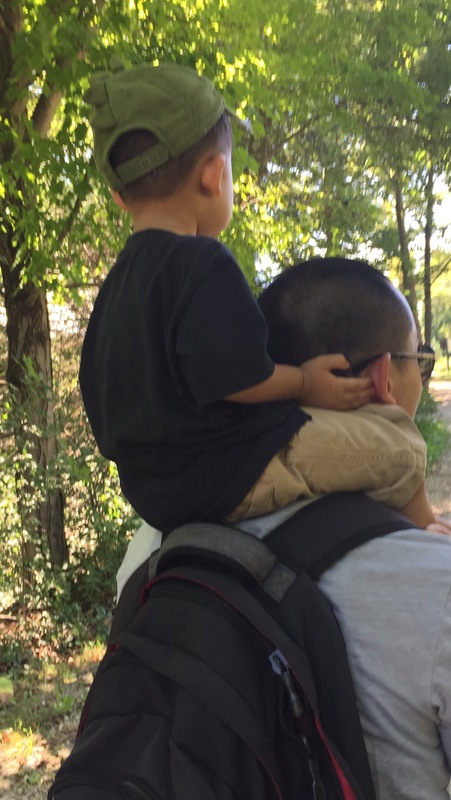 It doesn’t have to be at a trail, however, just walking around the block or going to a nearby park will surely bring a smile to your kids’ faces. If you’re more adventurous, go on a longer hike! I guarantee you, bedtime will be a snap because everyone will be super exhausted that night. Win-win in my books! And with the school year creeping up on us (2 more weeks!! ), why not get out and enjoy the lovely summer weather before autumn arrives. So, what outdoor activities does your family enjoy?